To avoid disappointment, we recommend you book your session as far in advance as possible. September to December are very busy months and it is not always possible to accommodate last minute bookings. The final date and time of your Newborn Photography Experience will be set once baby has arrived but your due date must be confirmed with the studio while you are still pregnant. Our pricing reflects the exceptional care, time and effort that goes into creating your unique images. Please note, unless otherwise stated, your Session Creation Fee does not include your final portrait prints, wall art, albums, folio boxes, digital images or other products. These are purchased separately and at your discretion. 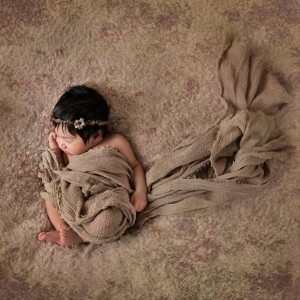 Schedule your Maternity and Newborn sessions at the same time to save $110 off your creative fee. Individual investments levels are unique to each family and vary according to the session and products you select. 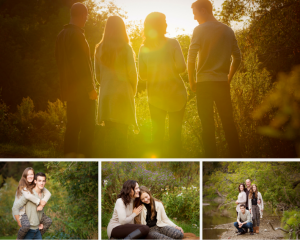 As a guide, most families invest an average of $1500 per session in their final portrait prints and products. Please contact Alana to discuss your budget and to request a full pricing menu. A private in studio portrait screening will be scheduled approximately two weeks after your portrait session where you will have the opportunity to view the images from your session, see samples and purchase the images you love the most. Alana’s focus remains on the quality of images you receive rather than quantity created. Typically you can expect to view between 25-40 images during your private portrait screening. The number of images created depends on many things including how your newborn baby is on the day, how many set ups we achieve and if siblings or other family members are involved. We know you will be just as excited as we are to plan where your portraits will be displayed in your home and truly believe the full beauty and emotion of your images will not be realized until you have your prints and product in your hand. Alana McClure Photography specializes in high quality finished art and offers a range of printed products for your home including wall art, albums, folio boxes and smaller print collections perfect for gifting or keeping for yourself. Click here to request a list of available products and prices. We believe that your portraits are at their most beautiful when experienced in printed form and as Fine Artists, our mission is to share the joy that printed memories provide. However, in a digital world, we also understand your desire to share your images with friends and family who may not be able to view your wall art and prints in your home. As such, we happily offer a digital collection of your chosen images if this is your preferred format. We believe in what we do and know these portraits will live among your most treasured items from this incredible time in your life. So we guarantee you will love them. If you don’t love them when you first see them, we will create more images until you see the ones you love. We stand behind our products too. If you ever have a quality issue, for any reason, we will remake it for you no questions, no cost. Your Home vs. Our Studio? 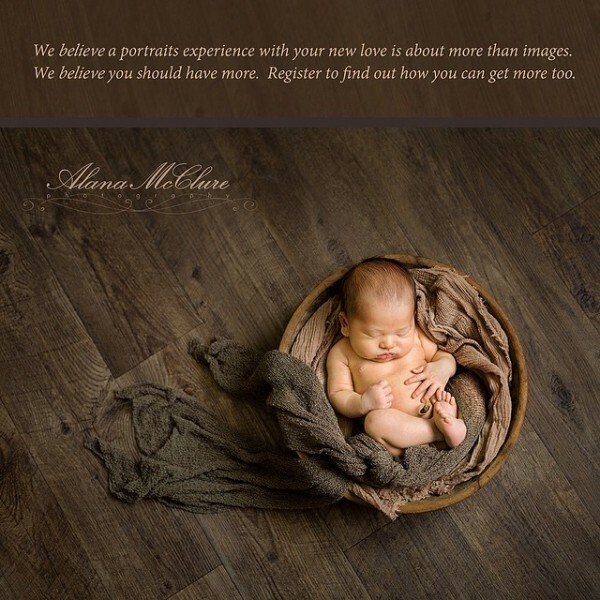 Alana McClure Photography offers a fully equipped portrait studio with everything needed for your fine art photography experience. Due to the large amount of equipment required to perform a styled, creative and artistic photography session, it is critical to be able to control the room temperature and for Alana to have easy access to all of the props and lighting equipment needed to create the most stunning images possible. While in-studio sessions are the least complicated and most enjoyable experience for you and baby with everything at our fingertips, if your heart set on your images being created in your home, we would be delighted to come to you. Let us know if an in-home session is what you have in mind during our consultation call so we can share the many options with you. We encourage you to contact us with any questions you have and invite you to view our Portfolio and Client Showcase to view our latest work.